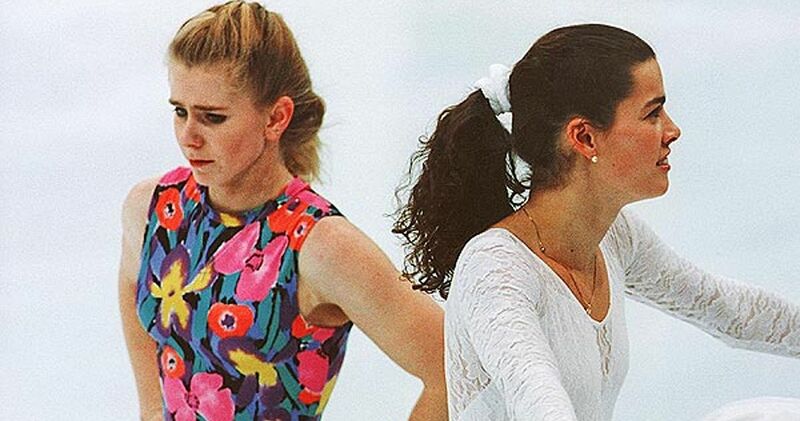 A healthy dose of competition plays an important role in an athlete's success, but during the early '90s, figure skater Tonya Harding took her rivalry against Nancy Kerrigan to a whole new level, resulting in a scandal that played out like a Lifetime movie. 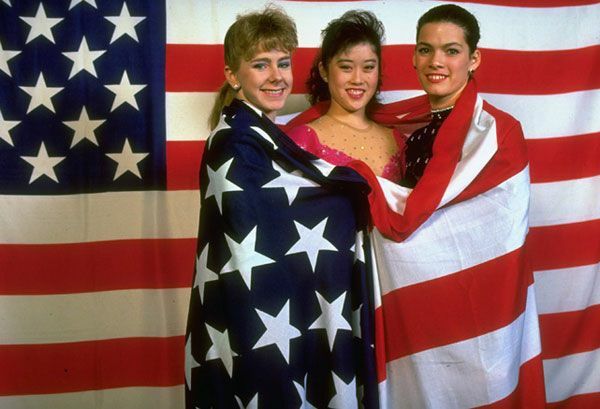 In fact, their story did inspire a couple of documentaries, TV movies, and an upcoming biopic, but before we delve into that, let’s revisit what went down between the two Olympic skaters. 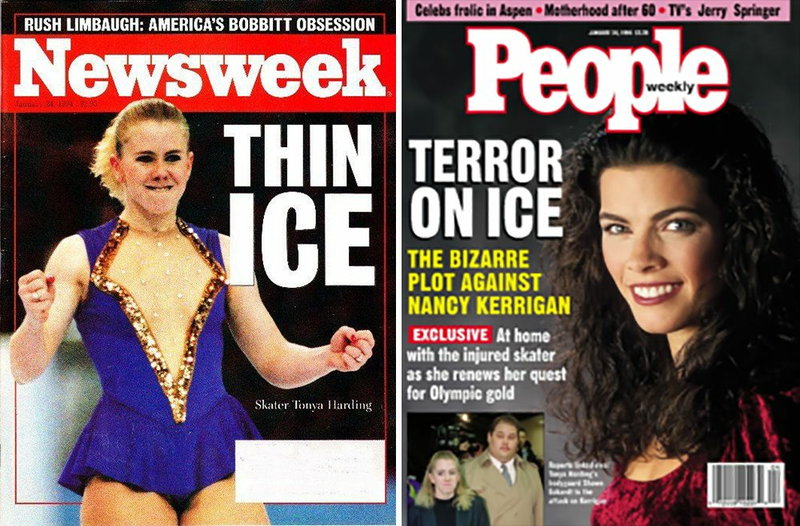 On January 6th, seven weeks before the 1994 Olympic Winter Games were scheduled to begin in Lillehammer, Norway, Harding’s longtime rival, Nancy Kerrigan, was viciously attacked. She had just finished a practice session when a hitman named Shane Stant injured her with a police baton. Stant fled the scene, but video footage of Kerrigan crying and asking, “Why? Why me?” was later leaked to the public. Due to the injuries she sustained to her knees, Kerrigan had no choice but to watch Harding skate her way to the top of the scoreboard at the Women’s U.S. National Championships in Detroit, and earn a spot on the Olympic team. But in a surprising twist, the U.S. Figure Skating Association (USFA) also named the extremely talented Kerrigan to the team. 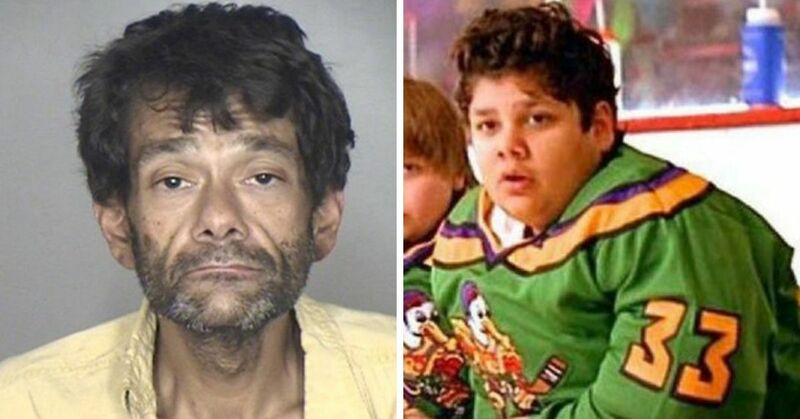 All the while, investigators were pursuing the case in hopes of nabbing the suspect before they struck again. 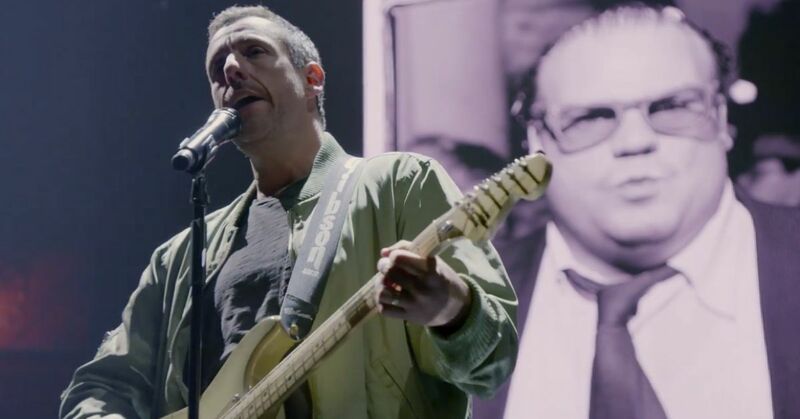 They suspected that a crazy fan may have been behind the attack, so it wasn’t until they received a lead from a Portland-based minister that they started to expand their suspect list. The clergyman told the investigators that he heard a recording of three men plotting to hurt Kerrigan. The men were eventually identified as Harding's bodyguard, Shawn Eric Eckardt, her ex-husband, Jeff Gillooly, and Stant. By the time the Olympics started in February, this information reached the public’s ears, and people all over the nation began to speculate about Harding’s involvement. Authorities began to piece things together, and it didn’t take much longer for them to figure out Harding and Gillooly weren’t innocent. 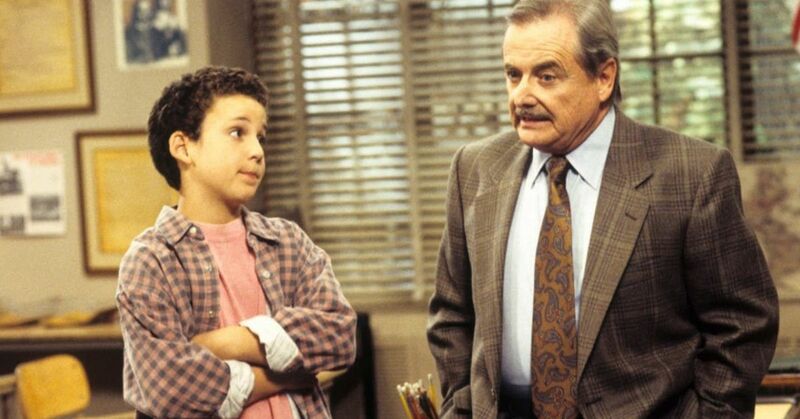 According to the reports, Gillooly paid Stant $6,500 to knock Kerrigan out of the competition. The media frenzy surrounding the incident dubbed “the whack heard around the world,” turned Harding and Kerrigan into even bigger international sensations and pop culture figures. Although the extent of Harding’s involvement in what New York Times reporter Jere Longman described as “the most horrifying, embarrassing and ultimately beneficial moment in the history of the sport,” remained unknown, news reports continued to pit the two women against each other. 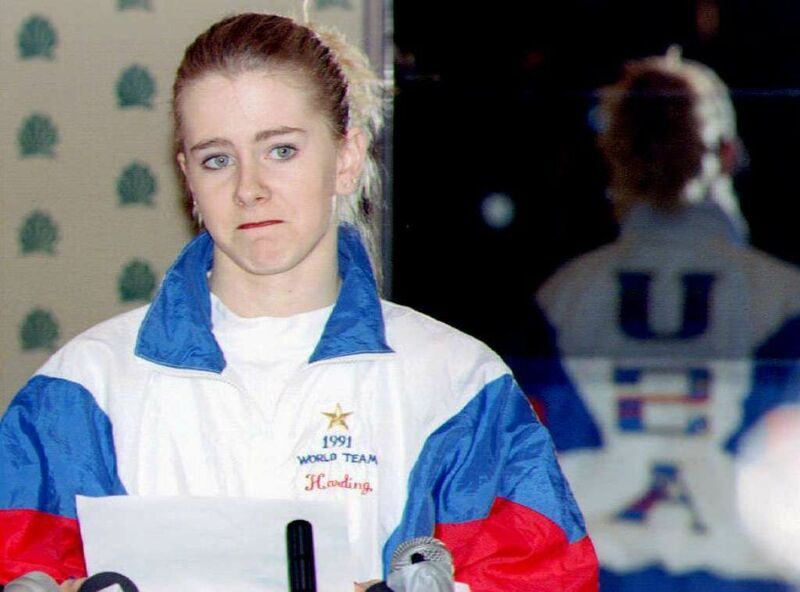 "The media couldn't wait to tell this story of [Harding as] a hard-knock kid from a hardscrabble background who belied the stereotype [and] went against all the norms of what a world-class skater should be," recalled Ann Schatz, a Portland-based sportscaster who covered the case. "It didn't work out the way we envisioned." Instead, Harding was portrayed as the “evil witch,” and Kerrigan as the survivor “princess,” who eventually got the podium moment she was almost denied. 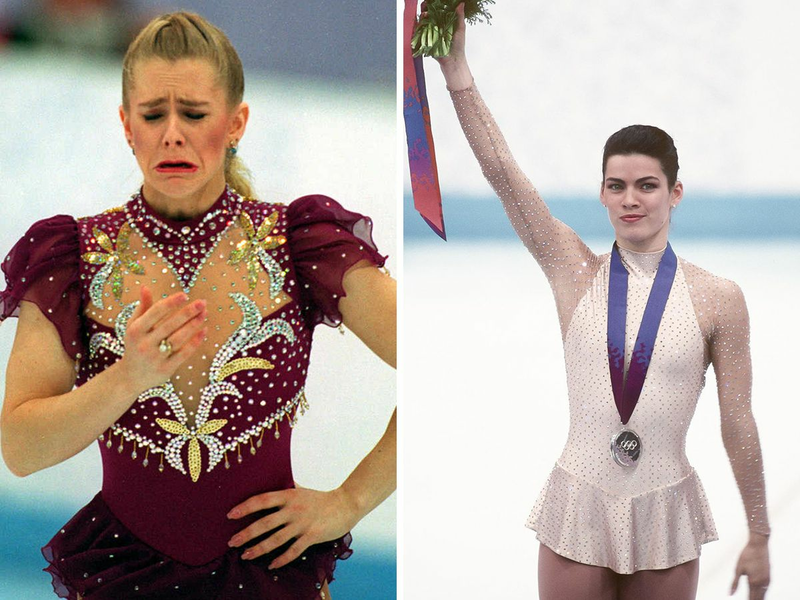 Kerrigan embodied everything that the figure-skating world wanted in their athletes, while Harding refused to conform. She was a talented skater, but unlike Kerrigan, who appeared ladylike and poised, Harding’s life wasn’t very stable, she also smoked, drove a pickup truck, and skated to songs by rock bands like ZZ Top. 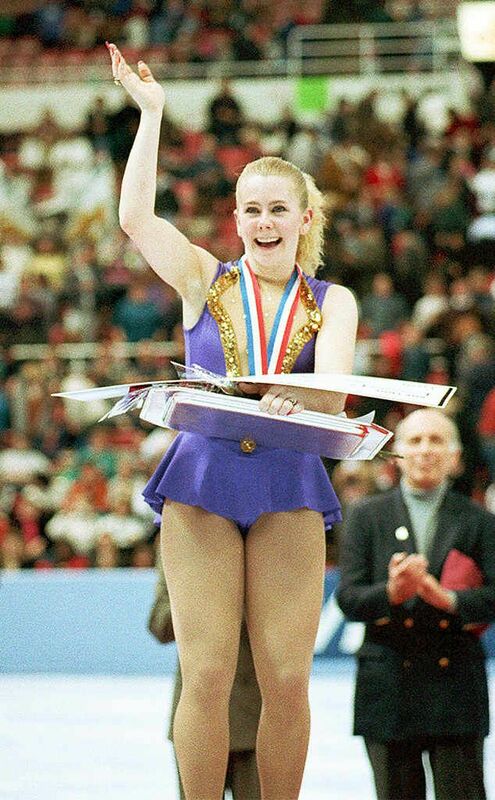 She later wrote in her autobiography, The Tonya Tapes, that the U.S. Figure Skating Association was on her case even before she was accused of assaulting Kerrigan. The disgraced athlete claimed that the USFA tried to talk her into taking her ex-husband back so she would appear to have blissful domestic life while competing at the games. "They said I had a stable life when I was with him – married, settled down," she wrote. "They wanted to make sure I was still going to be that way to go to the Olympic Games." But things only got worse for Harding once the Olympics began. 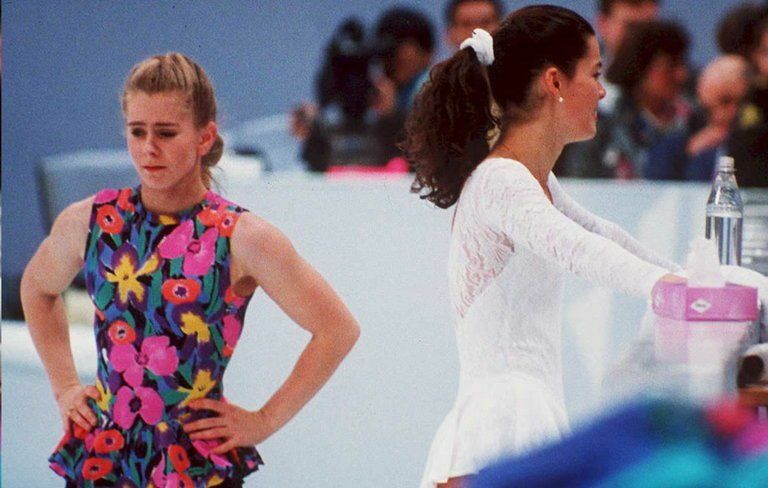 Both Harding and Kerrigan competed at the Winter Olympic Games in the midst of the investigation, and even if you watched them skate on TV, you could sense the tension, especially as they both took to the ice to practice beside each other. In what the media described as karma, Harding came in 8th place after her skate lace broke and she wasn’t allowed a redo. Kerrigan, on the other hand, took home the silver medal. 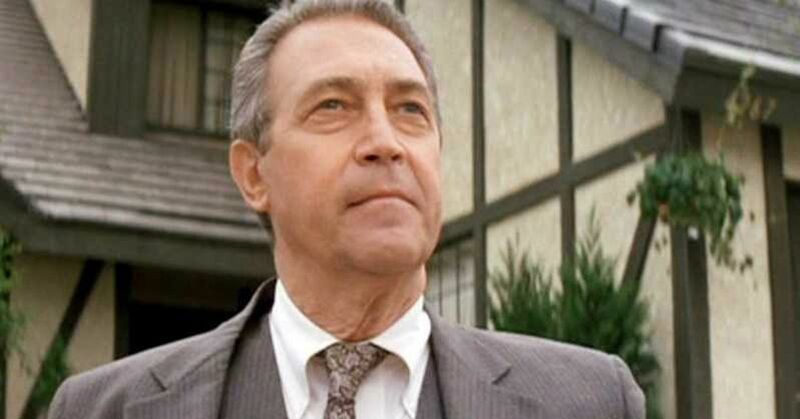 As the games came to an end, investigators made some new developments that further implicated Harding. She denied all the allegations, but no one, including the USFA would believe her. Harding claimed that she had no idea that Gillooly and Eckhart were planning an attack on her teammate. She said that they didn’t do it to take Kerrigan out of the competition, but rather to punish her for taking the USFA’s advice and rekindling her doomed relationship with Gillooly for publicity. A “bizarre, anonymously signed” letter naming Harding as an accomplice surfaced, and despite her continued plea of innocence, she was eventually was charged for hindering apprehension. She pleaded guilty, and was placed on a three-year probation plus 500 hours of community service. She also received a $100,000 fine, and was banned from the USFA for life. In exchange for a plea deal, Gillooly testified against Harding, and was sentenced to two years in prison. Stant, Eckhardt and Derrick Smith, who drove the getaway car, were all jailed for assault. Harding and Kerrigan never competed at the Olympics again. In 1998, they agreed to sit down for a joint interview with FOX. Kerrigan continued to work as a professional skater in the years that followed. She worked on Broadway on Ice, and appeared on various documentaries, TV shows and films like 2007's Blades of Glory. She was also among the celebrity dancers on season 24 of Dancing With The Stars. However, she still struggled with a slew of personal problems, including an eating disorder and multiple miscarriages. Harding, on the other hand, faded into obscurity and was not heard from for another few years. She appeared in a few documentaries and released an autobiography, The Tonya Tapes, in which she gave a harrowing account of the story behind Kerrigan's attack, revealing that Gillooly threatened her at gunpoint when he found out that she was planning to go to the FBI with the information she had. In an attempt rebuild her life, Harding remarried twice, had kids, and tried out different career paths. However, her past still continued to haunt her. "I'm not an educated woman. What am I gonna do for the rest of my life? 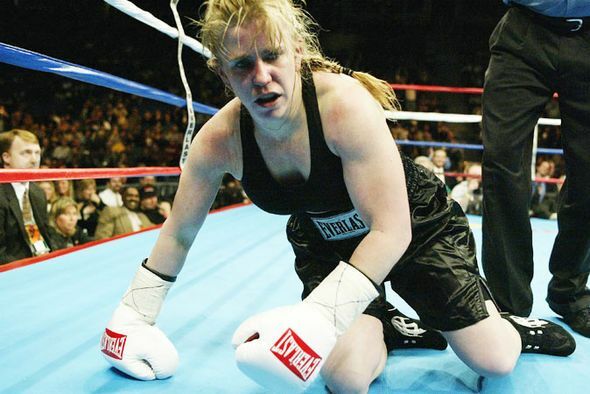 I'm an athlete ... And now I have absolutely nothing," she said in the 2006 documentary Anything to Win. It’s been 23 years since the scandal occurred, but it seems like neither the two women nor the media are ready to move on. 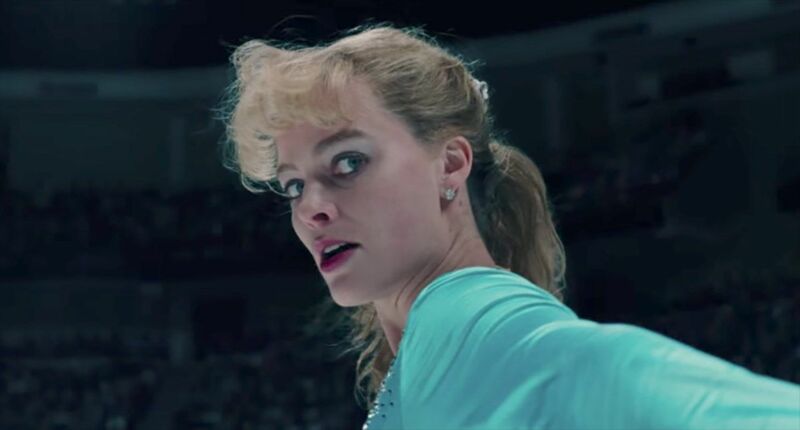 A new biopic, I, Tonya, starring Margot Robbie as Harding is set to hit theaters on December 8, and the spotlight is once again shining on Harding. "The more I became Tonya, the more I saw things from her point of view,” Robbie told W Magazine. “I’m on her side 100 percent. I don’t think she did anything but be different from what the world wanted. She didn’t fit in. And I love that." In preparation for all the press she will be receiving, Harding spent some time "getting ready to be seen again." Her friend added that "she’s eating well and has lost some weight. She’s getting in shape and is even skating again. She’s really excited about this." Harding, now 47, made an official public appearance for the first time in tears at the Los Angeles premiere of the film on December 5th.